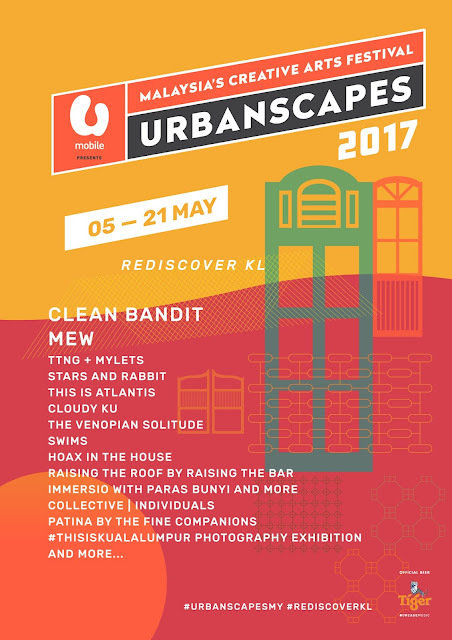 Malaysia’s long-running creative arts festival, Urbanscapes, has revealed the first wave line-up for its three-week long city-wide festival which will be held from 5 to 21 May. Celebrating its 15th year, the much-anticipated colossal festival will be packed with music and performance art, as well as art installations, talks, thematic markets, workshops and experiential and interdisciplinary events headlined by home-grown, regional and international scene-shakers. 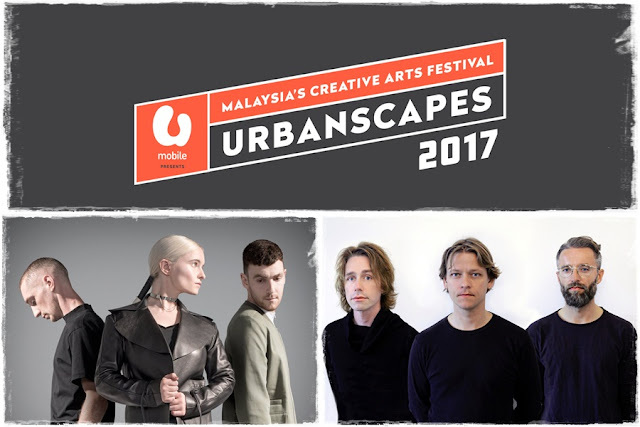 Once again taking place at the Urbanscapes House in the historic 2 Hang Kasturi building, international names like Clean Bandit, Mew, and Stars and Rabbit are among the performers that will be fronting the first phase music line-up of the festival this year. “After 15 years, I believe Urbanscapes has garnered quite a following in the region for being the festival to be at if you want a total creative and cultural immersion. This year, we decided to hold Urbanscapes in Kuala Lumpur city centre again as the ambience seems to hit the sweet spot for the festival goers,” says Adrian Yap, founder and festival director of Urbanscapes. This year, headliners Clean Bandit known for their hit “Rather Be” featuring Jess Glyne is taking the stage at KL Live on 18 May, while the Danish progressive-rock trio, Mew, will be performing there on 10 May supported by Indonesia's rock group The Trees & The Wild. While Urbanscapes House serves as the festival hub, the recently re-opened The Bee Publika will be hosting several intimate shows including English math rockers TTNG as well as guitar wunderkind and one-man band Mylets, and also Indonesian folk-pop duo Stars and Rabbit, and Malaysian experimentative band The Venopian Solitude. Tickets will go on sale on 10 March. Meanwhile, for more info, log on to urbanscapes.com.my. Check out the schedule for the festival.